If there is a strong chlorine odor coming from your pool, you're probably thinking that you need to lower the amount of free chlorine in the water. Actually, though, the smell that we associate with chlorine really indicates that there is too little chlorine in the pool. 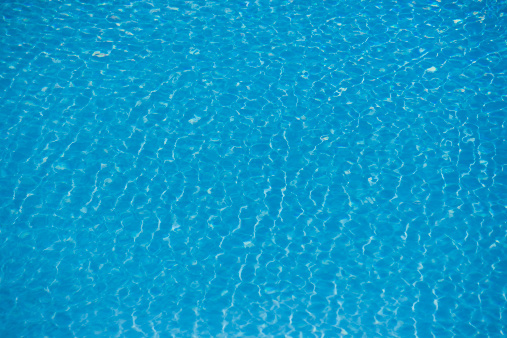 Properly managed chlorine levels are crucial to a clean and healthy pool. To understand when and how to adjust the chlorine levels in your pool, you must first understand the difference between free chlorine and chloramine. When chlorine is first added to pool or spa water, it is called free chlorine. This is pure chlorine that is available to disinfect the pool. As free chlorine reacts with organic matter in the pool, such as swimmer's sweat, body oils, or urine, it chemically changes and becomes chloramine, also called combined chlorine. These chloramines create the odor most of us associate with chlorine. Like chlorine, chloramine will disinfect pool water. It is, however, 40 to 60 times less effective than free chlorine. The sum of the levels of combined and free chlorine in the water is called the total chlorine level. Adding more free chlorine to the water, a process called superchlorination or shocking, reduces the chloramine level because free chlorine breaks the chemical bonds of the chloramine compounds, converting them to nitrogen gas. When all of the chloramines are gone, any leftover chlorine is referred to as the free chlorine residual. A simple test kit will measure your pool's chlorine levels. To determine the levels of free and combined chlorine in the water, first test to determine the level of free chlorine, then test to determine the level of total chlorine. The difference between the two levels is the level of combined chlorine. To maintain adequate disinfection capability, the level of free chlorine in the water should not be below 1 part per million. In general, the free chlorine level should remain between 1.5 and 2.5 parts per million. Combined chlorine levels should not be above 0.5 parts per million, and swimmers are likely to be more comfortable if the level is below 0.2 parts per million. If the water's free chlorine level is too low and its combined chlorine level is too high, your pool isn't as clean as it should be. To fix the problem, the goal is to reach a point called breakpoint chlorination. At this level, there is enough free chlorine in the water to neutralize all the chloramines in the water. This process for achieving breakpoint chlorination is the same in both fresh and salt water pools. To achieve this level, the water needs to contain 10 times as much free chlorine as it does combined chlorine. Using the levels determined through testing, multiply the combined chlorine level by 10 and then subtract the current free chlorine level to determine how much chlorine you'll have to add to reach breakpoint chlorination. Too much chlorine can also be a problem as it can damage pool equipment and bleach hair and swimwear. Free chlorine degrades when exposed to ultraviolet light, so the solution may be as simple as halting the addition of chlorine to the water and leaving your pool uncovered and unused on a sunny day. On a clear day, direct sunlight will remove up to 90% of the free chlorine in your pool in as little as two or three hours. Chlorine neutralizing chemicals such as sodium thiosulfate or sodium sulfite will lower chlorine levels more quickly, but they will also significantly alter the pool's pH level and will neutralize all of the chlorine in the water if they're overused. This method also requires the understanding of more complicated formulas. If you choose this method, be sure to follow all of the instructions on the label carefully. If you have a salt water pool, you can take several steps to lower your free chlorine levels. The first is to reduce the output of the pool's chlorine generator. Lower your pump speed and run the pool's circulation system for a shorter period of time.